We promote, encourage and support community-level actions and initiatives that move Calgary towards a sustainable future. Currently employed as a Project Manager at Calgary Municipal Land Corporation, Nicholas is utilizing his backgrounds in urban planning and design, as well as architecture, in a range tasks of roles, including strategic urban development analyses of large brownfield areas, managing multiple streetscape and park improvement projects, and coordinating vertical development to ensure it aligns with the standards and aspirations of the City's and Corporation's objectives. As a designer and urbanist, Nicholas is passionate about making Calgary a better place to live, and is always looking for new ideas and methods towards achieving positive change. To stay current, Nicholas actively attends most public lectures on City building matters, is involved in D.Talks' Research Committee, and guest lectures/reviews for the University of Calgary's Urban Planning, Landscape Architecture, and Architecture programs. Victoria Fast is an assistant professor in the Department of Geography at the University of Calgary. Specializing in urban geographic information systems, Dr. Fast uses participatory methods to engage government, citizens, and NGOs on issues related to building smart cities that are socially just and sustainable. Most recently, she draws on research themes related to open data, volunteered geographic information, accessibility analytics to study and support better integration of people with disabilities into the smart city. Christina believes in putting people first and that social sustainability is equally important to economic and environmental sustainability. She has a background in community research, public health, social policy, and municipal government. Christina spent part of her childhood growing up in Europe which gave her a solid foundation and heart for international approaches and perspectives. She has a Bachelor’s degree in Psychology from University of Calgary, along with a Masters of Arts in Community Psychology from Wilfrid Laurier University, (Ontario), and a Masters of Science in Sustainable Urban Management from Malmo University, Sweden. She is passionate about healthy and sustainable cities, and finding new ways of making Calgary a better and more future-oriented city. Christina currently works at The City of Calgary in Planning & Development. Kimberly Jones works in public engagement at The City of Calgary. She enjoys ensuring the smooth running of public engagement events, where Calgarians are asked for their input on City initiatives and projects. She is an experienced facilitator, coordinator, and administrator. She has a Bachelor of Arts in Urban Studies, a multi-disciplinary program looking at urban issues in a cross-discipline manner, which included a focus on sustainability and equity. She has previously volunteered with TransitCamp YYC, Wordfest, and the Calgary Fringe Festival. In her spare time, Kimberly likes to attend community events, and go out with friends, but also take some time for reflection, reading, and quiet time at home. She also enjoys travel, especially seeing what we can learn from other cities. Noel is a co-founder of Sustainable Calgary Society and Civic Camp Calgary and Assistant Professor of Sustainable Design at the University of Calgary, Faculty of Environmental Design. His research interests include community sustainability indicators; affordable living; sustainable and low carbon cities and social economy. 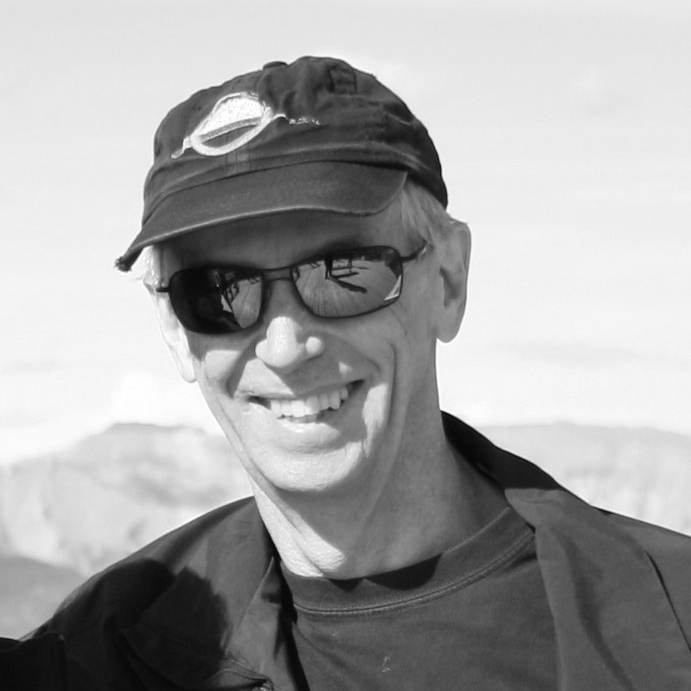 Since 1996 Noel has worked a lead researcher or consultant on 5 ‘State of Our City’ community sustainability indicator reports for Sustainable Calgary Society as well as indicator projects for Banff, Alberta and as a member of the Canadian Index of Well-being National Advisory Group. A focus of Noel’s work has been citizen-led participatory approaches to indicator design and reporting. His research includes evaluation of indicator project outcomes – what difference do they make? Noel is also a principal with PLAN NET Ltd International Development consulting and over the past 25 years has been involved in project and program evaluation, design and management in Asia, Africa, Latin American and the Middle East. With my background in social work and public health I have spent the majority of my career working with non-profits, primarily in community development and health promotion. For the past 10 years I have focused on active and motorized transportation and the built environment. Safer Calgary and the Safe and Smooth initiative, Alberta Health Services WalkAble project, Active and Safe Routes to School and now Sustainable Calgary’s Active Neighborhoods Canada are examples of the work I have been involved with. As a resident of Calgary for 40 years, I have spent a lot of time on city roads and pathways as a pedestrian, cyclist, transit rider and motorist. Working to make Calgary a more active and sustainable city is my dream, not only for myself but for ALL Calgarians. Celia specializes in designing and implementing research for the non-profit and government sectors, on topics ranging from poverty to the social economy, material culture, environmental economics, environmental design and sustainability. She shares her professional time between Sustainable Calgary, private consulting, and singing with groups such as Early Music Voices, Luminous Voices, and the Rosa Barroca Orchestra. Her role at Sustainable Calgary has been to develop and implement a made-in-Alberta approach to “co-designing” healthy neighbourhoods, and to inform policy that lends itself towards active transportation and equitable, healthy city design. Celia has co-authored work such as “The Cost of Poverty in Toronto”, “Every Ninth Child in Ontario” and “Poverty Costs” in Alberta, each aimed at informing provincial policy decisions. Celia holds a Bachelor in Environmental Biology and a Master of Environmental Design. In her spare time she enjoys hanging out with the local gophers, making soap, and listening to Buffy (St. Marie//the Vampire Slayer). Katie’s interest in community development led her to a Bachelors Degree in Public Health and Community Services at the University of Victoria. With a keen interest in community and equity, Katie spent many years working with community associations, creating philanthropy-based youth programs, and managing volunteers at a local food-security organization. Her time spent in Victoria provided her with a deep appreciation for the benefits of walking and biking in your city and being connected to your community. After moving back to Calgary in 2016, she lived in the far NW and worked in Quarry Park in the SE. Stuck in traffic everyday with no alternative to driving, she dreamt of more transportation options for her and other Calgarians, options that would be better for the environment, health, and community connection. This led her to work with Sustainable Calgary. When not cranking out research or updating the blog, you’ll find Katie out hiking or snowshoeing, or in crocheting and cooking. Ryan believes that people should challenge themselves. His philosophy? “You have to get out of your comfort zone and learn how to say ‘yes!’” Ryan is a leader in the active and sustainable transportation field who works with Stantec, and has been involved with numerous game-changing transportation projects —all with the goal of creating stronger communities and better cities (including Calgary's Centre City Cycle Track project!) Because of his approach to transportation planning and his understanding of how these concepts apply in real situations, Ryan has been invited to present his expertise to communities, municipalities, and professional organizations. 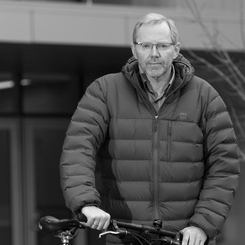 His goal is to make places better for people to travel through: on foot and by bicycle. When he’s not working, he’s volunteering for community organizations or spending time with his family. Byron Miller worked as an urban planner for the city of Scottsdale, Arizona, in the early 1980s, spent three years living and studying in Freiburg, Germany, in the late 1980s, earned a Ph.D. in Geography at the University of Minnesota in 1995, and taught at the University of Cincinnati (1993-2000) before taking his current position at the University of Calgary as Coordinator of the Urban Studies Program. At the University of Calgary he teaches courses on urbanization and urban planning, urban social geography, urban politics and governance, globalization, and field courses on urban sustainability in Europe. He has been a board member of Sustainable Calgary since 2008 and has served on numerous City of Calgary planning committees including the Downtown Urban Structure Plan committee, the ImagineCalgary Urban Governance Working Group, and the ImagineCalgary Steering Committee; he currently serves on the Community Representation Framework Task Force. He was one of two citizens appointed by Calgary City Council to serve on the Plan-It Implementation Committee (2009-2010), addressing the implementation of Calgary’s new 60 year Master Development and Transportation Plan (“Plan-It”). He is author/co-editor of three books: Geography and Social Movements(2000), Spaces of Contention(2013) with Walter Nicholls and Justin Beaumont, and the forthcoming Handbook on the Spaces of Urban Politics (2018) with Andrew Jonas, David Wilson, and Kevin Ward. Bob Morrison is a planner with over forty years of experience in water management, transportation, public involvement, and, as a citizen advocate, analysis of urban development, health care, and municipal finance. A graduate of Eckerd College with a self-designed major in urban studies, he has worked for a socio-economic consulting firm, the Government of Alberta, and, on project secondment to engineering firms, the World Bank and Asian Development Bank. 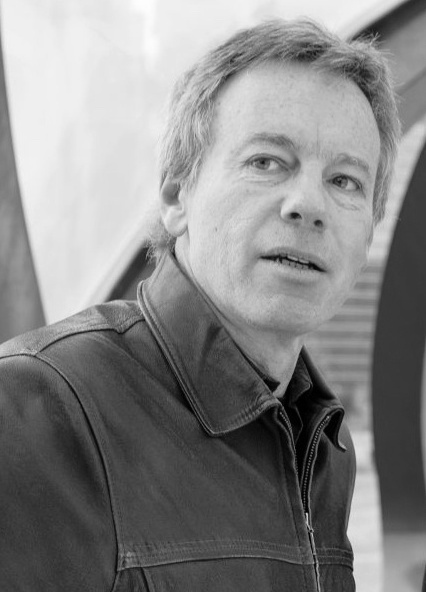 In addition to technical documents on issues ranging from institutional analysis to aesthetics, his publications include articles for his newsletter Moving Beyond Now, newspaper opinion pieces, a commentary on the libretto for Handel’s Messiah, and submissions to governments as a co-founder of Calgary’s CivicCamp. He is a member of the Board for Sustainable Calgary and a member of the Community Advisory Board for KSPS, the PBS station in Spokane. Srimal Ranasinghe originally hails from Sri Lanka and the United Arab Emirates, but has called Canada home since 2004. He has worked with people from all walks of life around the world. From piloting a youth leadership program with groups of Indigenous youth in Western Canada, to providing addictions and mental health counselling to teens, and facilitating community outreach programs in collaboration with members of the South Sudanese community in Calgary, he is a seasoned hand at working in partnership with diverse communities. Volunteering with groups such as his local community association, church, Calgary Folk Music Festival, and Leadership Calgary leaves him well-connected to Calgary's non-profit sector. Srimal holds a Bachelor of Arts in psychology from the University of British Columbia, and a Master of Environmental Design from the University of Calgary. In his spare time, Srimal enjoys reading, biking, strumming his guitar and coming up with terrible puns.